I am not even sure if anyone knows this blog exists anymore! I haven't posted a real craft for years. I haven't really created anything for the last few years. Life happens, and we get caught up in all sorts of things and things like crafting gets put on hold. In my case it was put on hold for a couple of years. But I just fell in love with a new type of "craft"
I have always claimed that I am not a sewer! I can barely sew a straight line! But a few months ago, my mom and her friend got me hooked. I learned everything about quilting from the most amazing lady. If you haven't heard of The Missouri Star Quilt Company you are living under a rock! They are the absolute best! 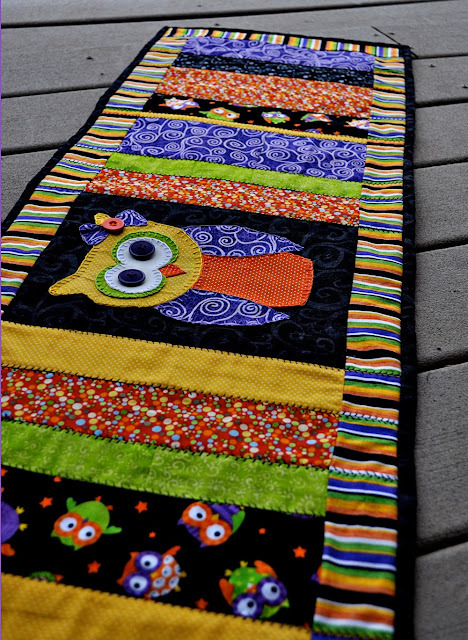 I love their tutorials and I have basically learned to quilt by watching their videos. Jenny teaches them so well, anyone could follow them! 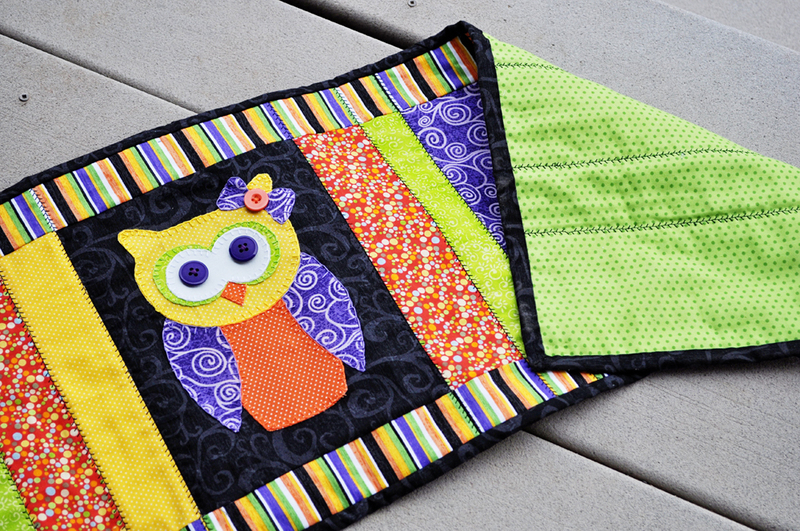 My first project was a little owl wall hanging, which I did a total hack job on the binding. This was my second project and I am happy to report that the binding turned out beautifully because I followed this tutorial. I am pretty darn proud of the fact that I did this entire thing by myself. 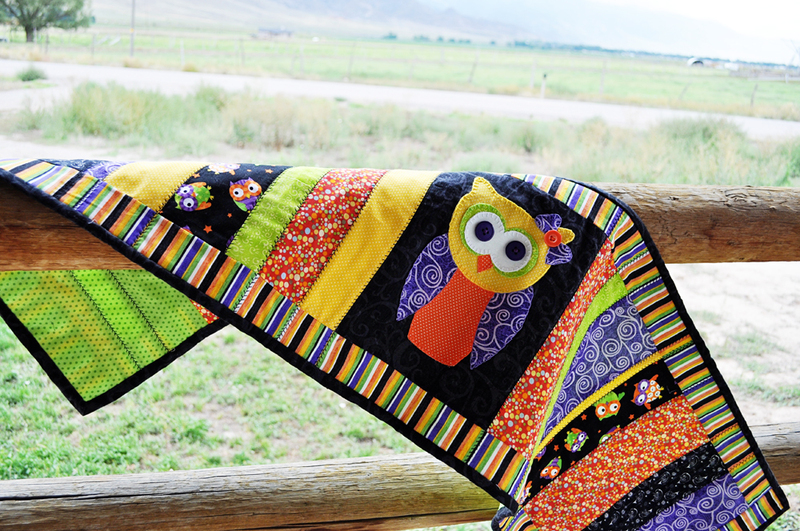 I designed it, quilted it, and I did the binding myself. I love Halloween. It's my favorite holiday to decorate for. I love the bright oranges, purples, greens, and yellows. So I gathered a bunch of fabric scraps and bought a few fat quarters of fabric and put this together for Halloween.